That's surprising! 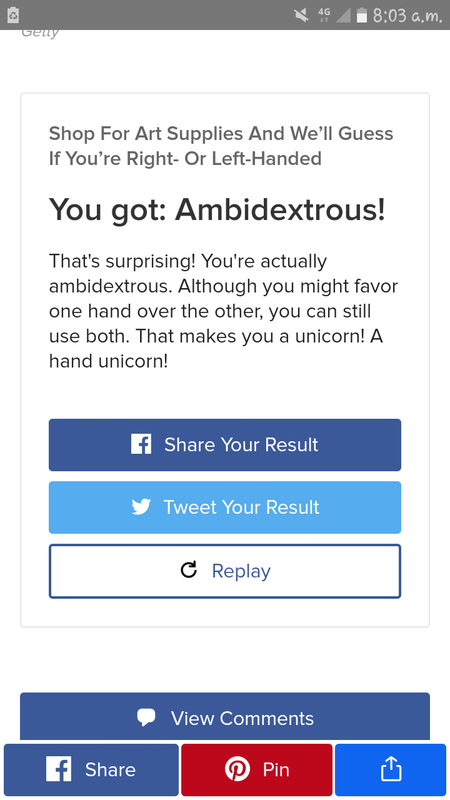 You're actually ambidextrous. Although you might favor one hand over the other, you can still use both. That makes you a unicorn! A hand unicorn! 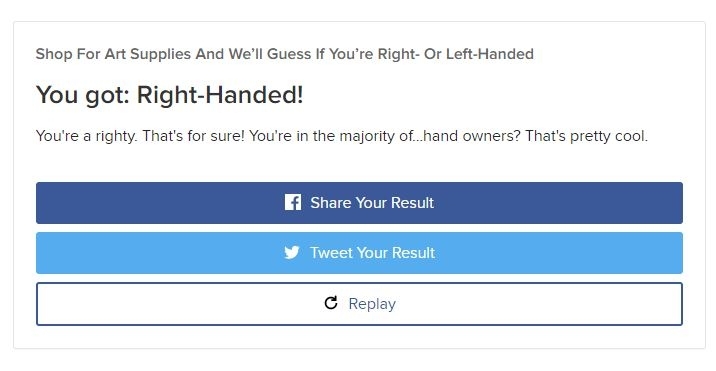 You're a righty. That's for sure! 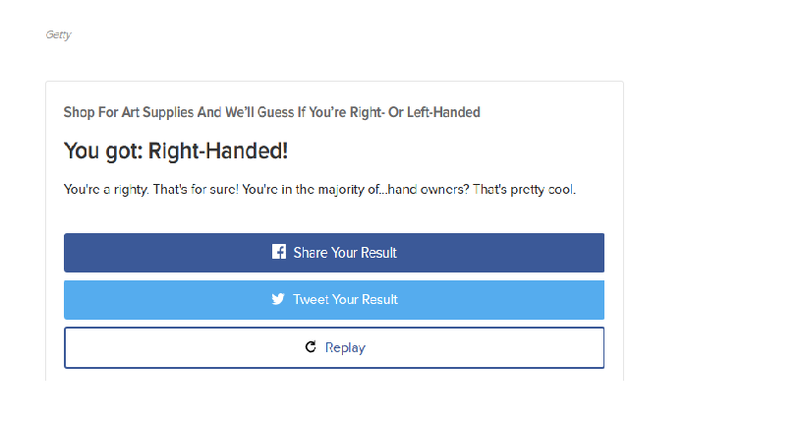 You're in the majority of...hand owners? That's pretty cool. 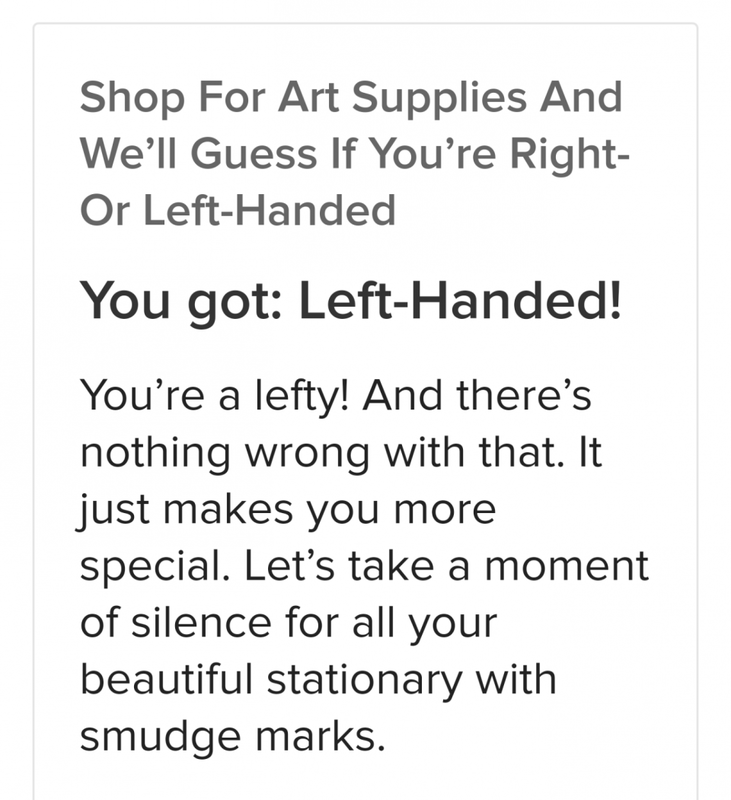 You’re a lefty! And there’s nothing wrong with that. It just makes you more special. Let’s take a moment of silence for all your beautiful stationary with smudge marks.